We know that engaged employees have a direct impact on company profitability, so it is absolutely imperative to address this epidemic of unhappy, disengaged employees. Ask yourself this: How could beating the odds impact your business? Could you increase productivity, enhance processes and organizational efficiency, or grow sales? From professional milestones to wedding anniversaries and birthdays, there is so much to celebrate every single day with your team. Sharing employee stories across the organization helps individuals feel more connected and valued. It will instantly make employees feel like they are part of a close-knit team, supporting each other during important milestones in their lives. When new employees start at your company, how long does it take for them to really know everyone in the organization? 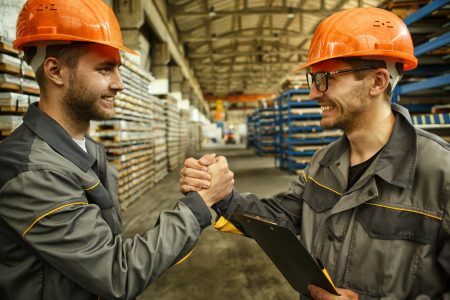 Do your employees ever all know each other? Whether you have 20 employees or 2,000, make everyone in your organization accessible. Give your employees access to a directory of all team members, their roles, and – bonus points – information about what they may be passionate about outside of work. This will break down barriers across departments and teams and encourage employees to connect with each other openly. While it’s important to have clear communications from the leadership team to floor employees around business goals and objectives, it’s essential that you create a two-way communication channel. Allow employees to ask questions, submit ideas, and share successes with the organization. Each year, the leadership team gets together and creates goals for the following year. Then, each department takes on their responsibilities to make those goals happen, and there never is any integration between teams to know whether or not the company as a whole is on track. Sound familiar? With every single business goal, identify the tasks that need to be completed throughout the organization, and allow all employees access to the same integrated platform to track progress. In doing so, you’ll allow employees to stay focused and to feel connected to the larger goal, rather than just checking in and out each day. We get it, rumors happen. The way you respond to them, however, determines how your employees will feel about you as a leader and the organization. When rumors start, be as transparent as possible and address them directly. Create a clear, detailed message to address the situation, and be open to follow up questions to ensure that it is properly addressed. Looking for a tool that allows you to instantly impact employee morale? Schedule a free consultation today to learn how PDP Solutions can drive your organization’s success.